This is our second feature this week for an album released by Arizona label Emotional Response, but this album is so good, so very sweet, that we wanted everyone to have a chance to grab a download as the weekend begins. 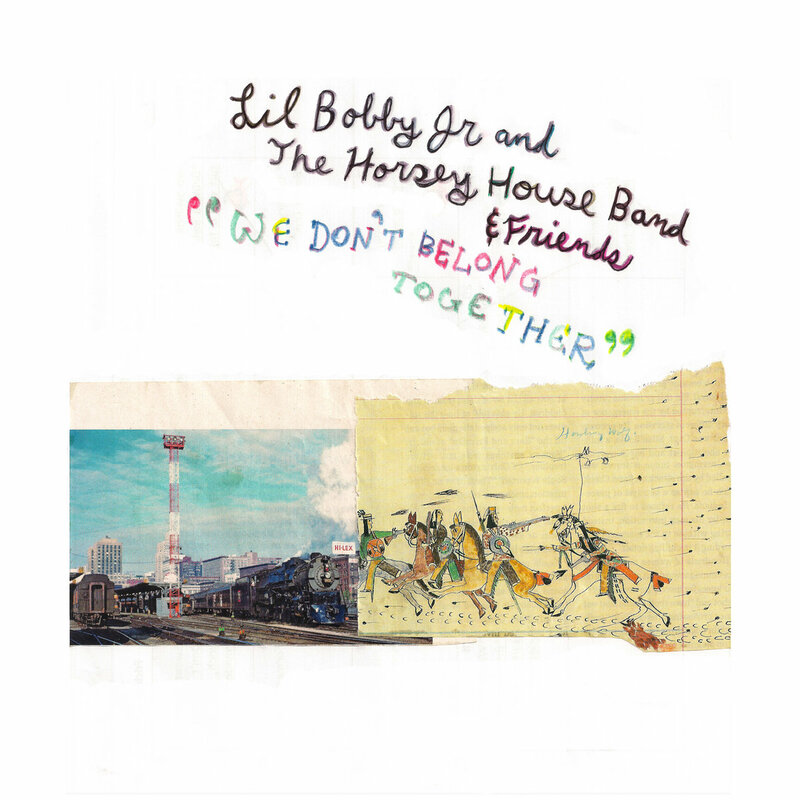 We Don't Belong Together is the work of Lil Bobby Jr and The Horsey House Band & Friends. It is a delicious collection of country style, punk infused singer songwriter compositions that will make you sigh, make you smile, and probably give you a defensible excuse to filling your glass for another round before retiring for the evening. Nostalgic stories, tales of regret, and stories of the road, sung in male and female voices and accompanied by twanging guitars and gentle hooks. You may be tempted to sing along to a few of the tracks such as "My Heart Beats For Love" and "I Don't Mind", and that is fine, but depending on your voice please consider the state of your environment and your relationship with your neighbors. Lil Bobby doesn't want to be an ancillary party to a noise complaint. And in any case, the overall vibe is gentle and reflective. This is perfect stuff for your back patio under the stars, but I suspect we'll all find ourselves playing it other times as well. The players (who is in the 'band' and who is a 'friend' sometimes isn't clear, but I doubt it matters) are, of course, Bobby Carlson (aka 'Lil Bobby'), who also is a member of Victorian Slang, which we featured last week (link), Matt Wlser, Ann Seletos, Lonna Kelley, Jay Hufman, Tony Ballz (also in Victorian Slang), and Owen Evans. Oh, one very important additional point is that a digital download of the eleven song LP only cost $5, although you can order it in CD format as well. Skip a latte, raid the liquor cabinet, and buy We Don't Belong Together.